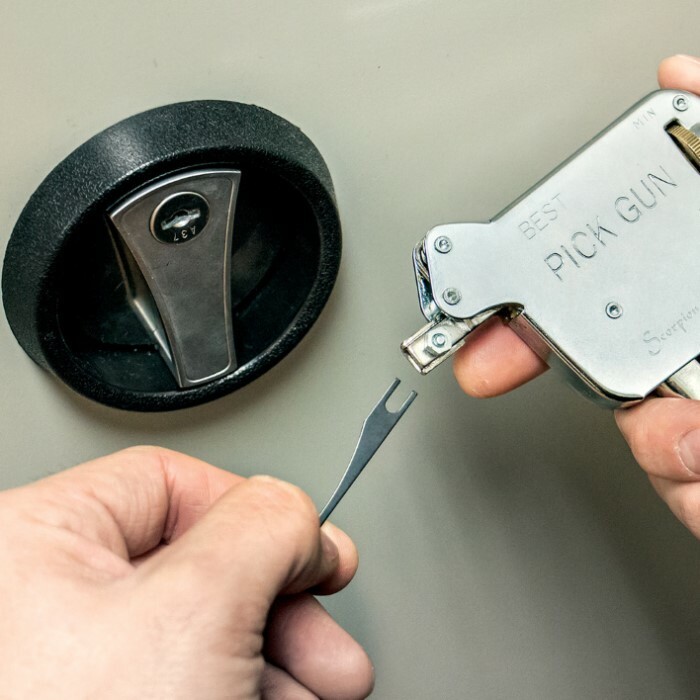 This tool was specifically designed to be inserted into a lock and with the rapid pull of the trigger, activate all of the pins at once. Conventional handpicking of a lock requires the tedious job of picking one or two pins at a time. When you pull the trigger of this lock opening tool, you strike both the upper and lower pins with rapid fire actions. 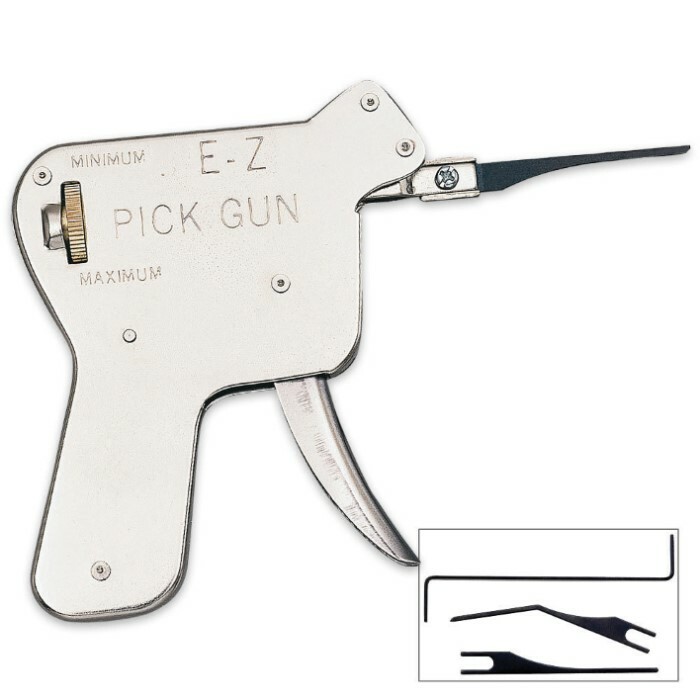 Three types of stainless steel picks (two straight needles and one offset needle) and a tension wrench are included with your snap gun.